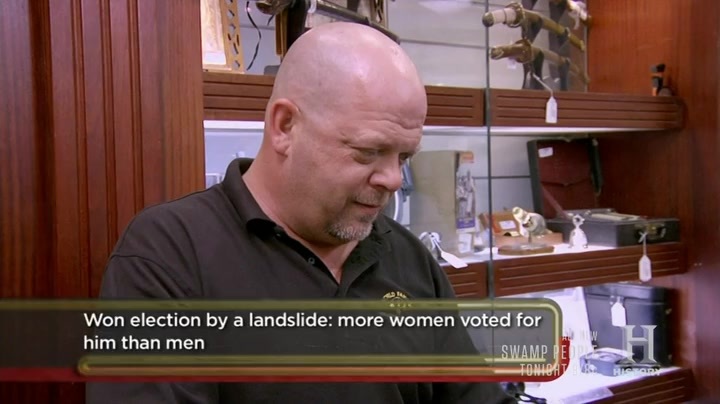 The Pawn Stars prepare to invade when Rick is offered a memoir written and signed by Dwight D. Eisenhower. Detailing his command during WWII, is Rick willing to pay big bucks for this rare book, or will the negotiation force him to retreat? Then, a shop regular piques Rick's interest with a Remington New Model Army. Considered the second most popular pistol of the Civil War, will Rick make an offer, or has popularity diminished its value? And later, Corey and Chum orbit a set of food bags made for Apollo 11. Are the guys hungry to make a deal, or are the seller's expectations out of this world?